Choosing a proper substrate for your iguana is one of the most important decisions that you could make. That is because there has been a long-standing debate about the possible risks of certain substrates. In this article, I will only review the best and the safest substrate for your iguana. Our most overwhelming tendency when choosing a substrate is by using the most natural looking, beautiful substrate. 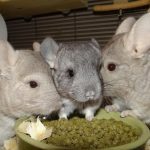 When it comes to our pets, we always want to provide them the best environment in terms of a pleasing looking, comfortable, and naturally appealing substrate. There are two types of substrates that are most frequently found in our daily lives and in pet stores. These are the Particulate Substrates (Loose) and the Non-Particulate Substrates (Solid). Let’s see which one of these two are the safest substrate to use for your pet lizard. Using these kinds of substrates will look great on the terrariums flooring, it also provides a natural-looking environment for your pet lizard. All of these are used in the same way by scattering them around on the enclosure’s flooring. 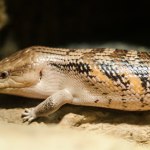 They may be great choices for a good, natural-looking environment for your pet, however, these types are the main reason why there are debates associated with the lizard’s safety. This is because the substrates are made up of small particles, your pet iguana could accidentally ingest them and could cause an impaction. An iguana, like most lizards, stick out their tongues to smell or taste things. This natural behavior of an iguana could cause them to carelessly pick up pieces of substrates in their enclosure, this can lead to an impaction. 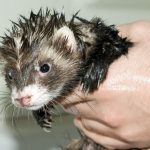 The ingested particles could lodge into your pet’s gut and could prevent the proper flow of nutrients and foods through its digestive system. It causes an immediate health problem. Symptoms that you should look out for is when your pet stops defecating. Food that continues to build-up in front of the impacted gut, will rot and begins to cling into the bloodstream. This will cause your iguana’s body to shut down and then eventually perish. However, this impaction can be corrected by performing an expensive operation on your pet. You’ll need skills to identify its lack of defecation and should be immediately brought to the vet for an x-ray view. This kind of impaction is more dangerous than the previous one. This is because the symptoms cannot be immediately identified. If affected, your pet iguana could continue eating and defecate properly but suffers starvation slowly. The consumed food isn’t properly digested, and your iguana isn’t getting suitable amounts of nutrients. By the time you realize what’s wrong, your pet’s body has already grown weak and the site of impaction has already turned poisonous. There’s a possibility that it may also be infected. If you have caught the impaction on time and has been removed as soon as possible, your pet iguana could still survive. Because of these risks, a lot of iguana caretakers avoids using particulate substrates. But if you still want to use particulate substrates, then make sure that it can be digested by reptiles. Non-particulate substrates are often found in our everyday lives. Substrates like these do not cause risks of impactions, that is because these substrates are solid and cannot be accidentally ingested by your iguana. 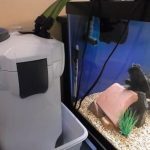 Substrates like these may not have the best visual appeal for your pet’s environment, but they are easy to maintain, clean, and some (paper towels and newspapers) can be quite economical. While others, like ceramic tiles, can be permanently mounted onto the terrarium’s flooring. 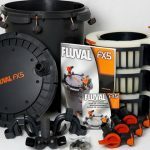 You can also simply place it over a black plastic and fit it together tightly, this is so that you can easily remove for a thorough cleaning every month. Because of the minimized risks of impactions, and sometimes eliminates the possibilities. A lot of pet owners that take cares of iguanas mostly use this kind of substrates for their pet’s overall safety. So I also recommend you to only use solid types of substrates. You’ll most probably save more and keep your iguana in perfect health. 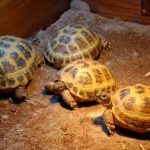 To help you out with choosing the right kind of substrate for your pet, I have listed down one of the best, and safest substrates for you to use for your iguana’s terrarium. There are a lot of particulate substrates that are harmful to iguanas when carelessly ingested, so you’ll need a certain substrate that won’t be harmful to them. This substrate is perfect for iguanas because it is 100% natural and digestible. For an ideal depth of bedding, put at least 1 to 2 inches of alfalfa in your iguana’s enclosure. 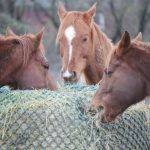 This digestible bedding reduces the build-up of germs and bacteria’s, it contains a reptile-safe bacteriostatic agent, thus, keeping the growth of bacteria’s and germs to a minimum. This is an ideal substrate bedding for Iguanas, Land Tortoises, Bearded Dragons, Uramostyx, and Monitors. Here is a synthetic grass with extra lushness. The perfect substrate for your pet iguana. Other synthetic grass would feel rough to the touch, designed with questionable materials, and looked sparse, but with the exception of this product. This artificial grass patch has a very beautiful, realistic look, weighs heavier than other cheap alternatives, and 100% toxin-free. This grass patch is perfectly safe for your lizard friend. This substrate is washable, so make sure that you have an extra patch of grass as a replacement, while the used patch is being washed. For those who wanted low-maintenance substrates, then this is the perfect one for you and for your iguana. You’ll just simply roll out the needed length of green or brown carpet, and then cut out the appropriate size needed. 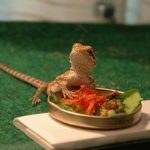 This is perfectly safe for reptiles because it cannot be digested like other substrates and a very good alternative especially for reptiles that are juvenile. This substrate liner has a biodegradable enzyme that helps reduce odors, it is washable and very easy to clean. Just clean it with a cold water. Make sure that you have an extra as a replacement, while used one is being washed and dried. Also, the materials used are absorbent and non-abrasive, thus it will not irritate your iguana. 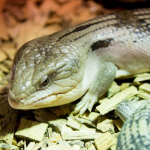 Cypress mulch can also be used as substrate bedding for iguanas, it can also be used to different kinds of lizards, tortoises, frogs, salamanders, toads, snakes, and tarantulas. Zoo Med’s product is 100% made of natural cypress mulch, so there’s no need to worry because it is not mixed with other types of bedding. A lot of people that owns an iguana uses paper rolls as their pet’s substrate, some doesn’t even use any kinds of the substrate at all. This kind of non-particulate substrate is the least attractive of them all, but at the same time, the most convenient one. Aside from butcher papers, you can also use newspapers, print or nonprinted ones are okay, and paper towels. These may be an unattractive substrate, but it is the most affordable substrate that you could ever purchase. It can also be easily cleaned and easy to replace, but the most important thing is that it is non-toxic and perfectly safe for iguanas. 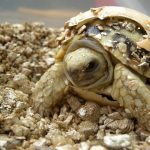 For those who are looking for a sand substrate that is safe to be ingested by your pet iguana, then you have found the perfect for you and for your pet’s enclosure. Here is another particulate substrate that is safe even if often ingested by your pet. This terrarium sand is made up of 100% digestible calcium carbonate that prevents impaction and prevents internal and external scrapes. It is also made from 100% all-natural grains, specifically free from silica and phosphate, significantly lowers the risks of impaction. The sand also contains important minerals like magnesium, strontium, and potassium. Other than that, it also has a natural odor neutralizer, thus creating a natural environment. The Fluker’s repta-bark is made from all natural and highly absorbent bedding. Perfect for a wide variety of earthly reptiles. It is made up of richly colored orchid barks, providing an excellent moisture confinement, helps maintain a high humidity level in the terrarium, and absorbs waste. Fluker’s are made up of big bark pieces, therefore it reduces the chance of ingestion and prevents an impaction on your pet iguana’s digestive system. The package produces less dust keeping your pet’s habitat cleaner. 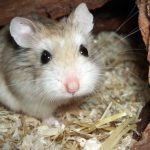 Installing a vinyl flooring tile on the bottom of your pet’s terrarium are both economical and safe for your pet. Since it is just a flat surface, it doesn’t contain any kinds of substrate particles that can be accidentally ingested by your iguana. This kind of flooring must be permanently placed on the bottom of your Iguana cage, it is pretty easy to install, you just have to peel and stick it on a surface. The tiles must be properly secured in place to keep the moisture from getting underneath the tiles. Using a substrate like this is the probably the safest, cleanest, and the most sanitized substrate that you can use. 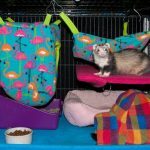 It is easy to clean and available in a wide range of different colors, styles, and patterns that would suit in your pet’s cage. Here is another digestible substrate that you can use for your iguana’s substrate. This reptilite is made up of aragonite, it is a more soluble form of calcium carbonate. This substrate is not intended as a form of supplement for reptiles, however, if ingested accidentally, it will quickly dissolve in your pet’s digestive system, thus reduces the risk of developing an impaction. This is a natural calcium substrate perfect for arachnids, lizards, tortoise, snakes, chameleons, or insects. The grains are in spherical shapes preventing your pet from being scratched inside and out. Like mentioned earlier, it is intended as a supplement for reptiles, but it is 100% edible and can be easily digested. This all natural calcium carbonate sand is available in 6 different colors, it doesn’t contain dyes and other kinds of additives. It is an excellent substrate that increases the delivery of calcium in all kinds of reptiles. It is packed with fortified vitamins and a beta of carotene to increase your pet’s health benefits. The sand does not contain vitamins that are fat-soluble, thus it will not be toxic when consumed in large doses. It has a very fine grain preventing impaction from over consumption. Avoid using gravel, sands, corn cob materials, wood shavings, cat litter, and walnut shells as your iguana’s substrate, unless if it can be safely ingested by your reptiles. Pick one of the listed substrates above. They are all safe, some are even digestible, economical, and affordable.